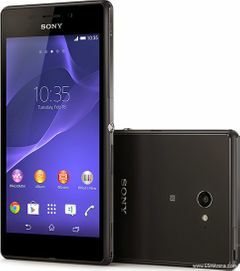 Sony Xperia M2 Aqua is currently not available in any stores. A waterproofed version of one of their mass-market models is hardly the biggest thing to come out of Sony's labs this season. There's a new super-mini to look forward to and the next flagship generation, plus a couple of wearables just broke cover ahead of the IFA show. Yet, the one thing all these have in common is waterproofing, no less. A fact the Sony Xperia M2 Aqua will be keen to use to its advantage. The Sony Xperia M2 Aqua adds water resistance to the solid Xperia M2. It's a great idea but the execution is clumsy. The Sony Xperia M2 has a sleek, attractive design, enough power for your day to day tasks and doesn't cost the earth. Enough power for your day to day tasks and doesn't cost the earth. It's got a disappointingly low resolution display and arrives with the old and outdated Android Jelly Bean on board.